HCL Job Openings For Analyst | Walkin Drive 3rd June 2017. 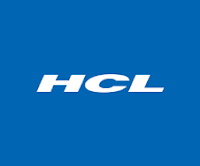 HCL is conducting walkins in Chennai and Latest Job openings in Coimbatore for B.Com, BA, BBA, BBM, M.Com, MBA, MA, MIB students for the role of Analyst. Here in this post, we have updated the related information like Interview Venues and Walkin Dates regarding HCL Recruitment 2017. Aspirants must have highly proficient in MS Office Excel, Word, Outlook and have a clear idea about Accounting, Capital Markets, Mutual fund industry as well as ready to relocate to Coimbatore and willing to work in night shifts. Candidates who had completed the mentioned qualifications in 2015, 2016 batch are preferred. Interested aspirants can check HCL Placement Papers and HCL Mock Test which will be very important for the applicants to ace the test easily. Here we are providing the HCL Syllabus, candidates are advised to download it and practice hard for to crack the HCL Careers. Candidates are welcomed to Go through our site All India Jobs for more Official Stuff. Should be ready to relocate to Coimbatore and work in night shift. Freshers (2015, 2016 batch) in B.Com, BBA, BA (Economics), BBM, M.Com, MBA (Finance), MIB, MA (Economics). Analyze unique and recurring situations, come up with solutions and continuously improve processes, all with limited management interaction. Update and follow existing tracking mechanism, log the errors and ensure timely correction of faults so that the recon process adhere to the specified timelines. Qualified and Interested Contenders can attend for the HCL Recruitment 2017 on 3rd June 2017. HCL is conducting latest walkins in Chennai and Coimbatore. So candidates who are interested they can directly attend for the below mentioned venue. Interviews will be conducted only on the below specified dates. This page will give clear information about HCL Walkins in Chennai and Coimbatore. We hope that the information is useful for your job search. For further updates candidates can visit All India Jobs for Regular Job Updates.